hello to all I write from Italy I bought a motec m150 for gtr r35 2009 ce someone who can provide me a map of base for injector 2000cc sir? 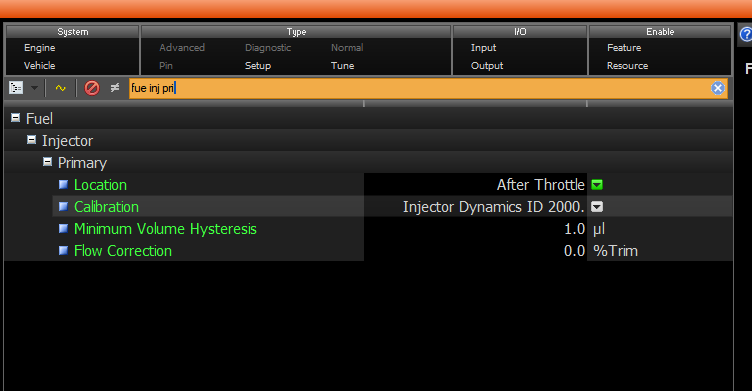 If they are ID2000 injectors, they are on injector dynamics website. You should be able to download it and I believe Tony has it setup where you just load that data into Motec. Don't even have to do that, just choose the ID2000 from the drop down menu. They are not the same thing and I would suggest you don't mess with it and just buy ID2000s and install them. Otherwise you will need to pick your tuner that you are actually going to pay to tune the car and get started from scratch. I would suggest with us here at TopSpeed, T1 or Rob for tuning Motec. Are you starting from the base GT-R package file? If the VE table doesn't make sense after changing to the ID2000 injector cal, then something is broken in your initial setup. Could be a number of things from sensor scaling to basic engine parameter setups. Forged Performance will meet or beat any competitors pricing!